You can complete university studies at HAMK by choosing a Study Path. You do not need to be a degree student to start your university studies. If you want to become a degree student, the way is taking the Study Path towards degree studies. Study Path consists of open studies which are parts of education leading to a degree. HAMK’s Study Paths are first academic year studies in Bachelor’s degrees and first semester studies in Master’s degrees. They are an excellent way to degree studies if you were not accepted the first time you applied, you want to study alongside your job or develop your existing skills towards degree. Study Paths are available as daytime studies (8-16) and multiform studies outside office hours (18-100). Study Path requires a commitment to stu​dying for the whole of the first academic year and contains contact lessons. Depending on their citizenship international students may need a residence permit for Study Paths and Open Studies. Studying requires perseverance and independency. Necessary requirements contain skills to acquire knowledge, to present orally and in writing and structuring issues in teaching language. You may apply as a degree student based on your open studies. Once you have completed 60 credits Bachelor’s degree studies or first semester Master’s studies applicable to the degree, you are eligible to apply. 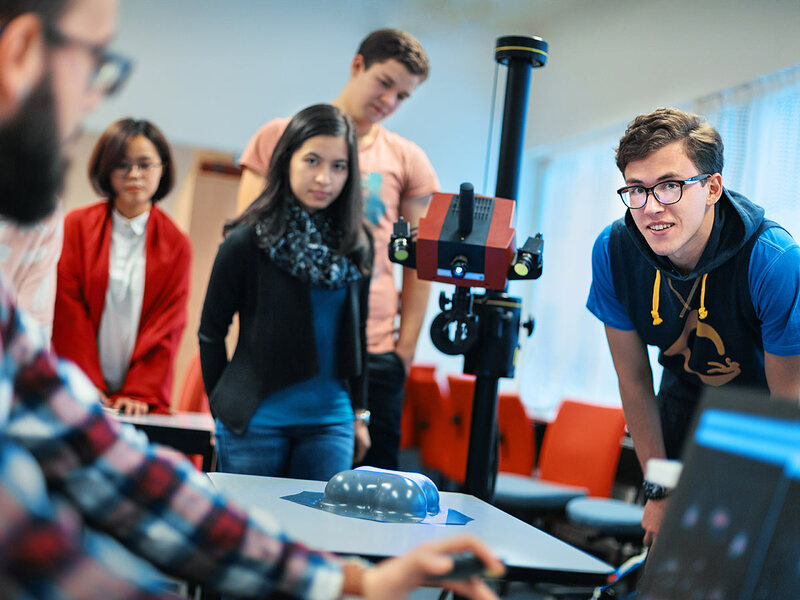 If you are admitted as a degree student, the open studies which are completed and approved will be credited towards a degree at HAMK University of Applied Sciences. In the field of Social Services, Health and Sports, your suitability for the field will also be checked. When applying for degree student after study path, suitability of test score should be at least half of the aptitude test score. Also testing the suitability must be worn for up to one year. Please notice that when applying as a degree student in International Business, the average of completed open UAS studies must be at least 3,0. You are not entitled to student financial aid or student discounts, unless you are entitled to them because of your other studies. Study Path student who studies according to the 8-16 mode is entitled to student discounts of VR. You will get an inexpensive lunch from our student restaurant in HAMK by showing a Study Path student card at the checkout. Study path contains first year or first semester courses alongside degree programme students. Please check applicant-degree programme and explore the programme content and more information about studying. Registration is binding. A good command of English is needed to study at HAMK’s open studies. Studies require also perseverance, self-reliance and good studying skills. The student places are limited and they are filled on registration order. Registration is always binding. Please notice that any cancellations has to be made without delay in writing, by e-mail for example, to study secretary of the degree programme. After enrolling you will receive an e-mail message which tells you that your registration has been received. At the end of enrolment time you will be contacted by degree programme staff. If you do not get any reference, please send e-mail to the student affairs secretary of the degree programme. Study path students have the same right for guidance and support as degree students. The counsellor of the degree programme will provide counselling services. In acute situation Open study student can use HAMK´s health nurse services. Open university students have the same insurance coverage as HAMK’s degree students. Studying requires persistency and independency. Language skills are essential in studies. Higher education studies also require development of scientific thinking and often the usage of study materials provided in some foreign language starts already in the beginning of the studies. Necessary requirements contain skills to acquire knowledge, to present orally and in writing and structuring issues in teaching language. The RPL process takes into account each student’s prior learning corresponding to the learning objectives of degree programmes and their parts, as described in curricula. The RPL process consists of recognition and accreditation of learning and subsequent credit transfer, validation of learning through skills demonstrations and exemption from compulsory language studies. How and where learning was acquired is irrelevant in terms of launching the RPL process. Contact your student counsellor in the beginning of your studies. Not more than 20cr of 60cr study path can be taken into account in RPL process. Please notice that studies that have been acquired via RPL in HAMK open UAS do not necessary provide for eligibility in applying process for degree programme in other Universities of Applied Sciences. HAMK Study Path students are able to complete Summer Studies (from May 7 to August 31) also at HAMK’s partner universities of applied sciences. CampusOnline is a joint portal of universities of applied sciences in Finland. The courses are free of charge for study path students. Summer study attainments are available in the Puro service and credits can be submitted through the service to be entered in the study register of students’ own higher education institution. HAMK recommends that students use their own laptops. Bring your own device – BYOD. Learning at HAMK is not dependent of the time and classrooms. So we hope that HAMK students will buy their own laptops for studies if they don’t already have one. More details from IT-services. Please notice that when applying as a degree student in International Business in academic year 2015-2016, the average of completed open UAS studies must be at least 3,0. ​Most of HAMK’s degree programmes offer Study Paths. The Study Path of a Bachelor’s degree consists of first year studies and the student is committ​ed to studying the whole first academic year. Study path contains first year or first semester courses alongside degree programme students. The student places are limited and they are filled on registration order. The available seats in degree programmes are listed below. Study Path contains the first year studies of bachelor’s degree programme alongside degree programme students. Please check applicant-degree programme and explore the programme content and more information about studying. NB: A good command of English is needed to study at HAMK’s open studies. Studies require also perseverance, self-reliance and good studying skills. Study Paths of Master’s degrees are available for only those who have a Bachelor’s degree applicable to the Master’s degree. The seats in Master’s degree Study Paths are listed below. The student who takes the Study Path needs to be committ​ed to the first semester studies. NB: A good command of English is needed to study at HAMK’s open studies. In the field of Social Services, Health and Sports, your suitability for the field via psychological evaluation will also be checked. When applying for degree student after study path, suitability of test score should be at least half of the aptitude test score. Also testing the suitability must be worn for up to one year. Enrolment for HAMK’s study paths starting autumn 2019 is from 1 to 15 August 2019. Check out the current study paths offered and guidelines of open studies before you enrol. If you need further information about registration, contact the degree programme’s student affairs office. The enrolment starts at 8:00 on 1 August 2019. The enrolment form will be open at the bottom of this page during the enrolment period. The completed registration form data is sent in encrypted form. The number of seats is limited and students are accepted in enrolment order. Registration is always binding. After enrolling you will receive an e-mail message which tells you that your registration has been received. Make sure that your information is correct. At the end of enrolment time you will be contacted by degree programme staff. Your study place will be confirmed only after the contact and you will receive an e-mail message that tells you whether your registration has been accepted. That message contains detailed information on practical arrangements. Many contact persons are on holiday during the enrolment period but you will be contacted as soon as possible as the enrolment ends. If you do not get any reference, please send e-mail to the student affairs secretary of the degree programme. NB: You need to give a proof of your right to reside in Finland (a copy of your residence permit card or a copy of decision on a right of residence). Study Paths of Master’s degrees are available for only those who have a Bachelor’s degree applicable to the Master’s degree. Bachelor’s level Study Path is available​ to all regardless of educational background. Please notice that any cancellations has to be made in writing, by e-mail for example, to study secretary of the degree programme. See Study fees and cancellation. Remember to close the query tab after you have registered for open studies. Degree students with citizenship in countries not within the EU/EEA, or Switzerland, are required to pay tuition fees for university studies in Finland. Tuition fees apply to degree programmes taught in English since autumn 2017.